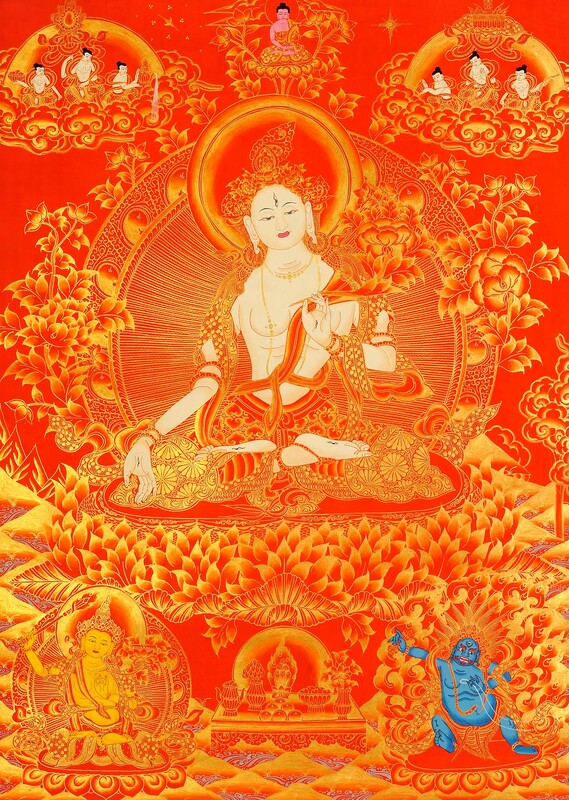 White Tara is the goddess who grants the boon of healthy longevity. 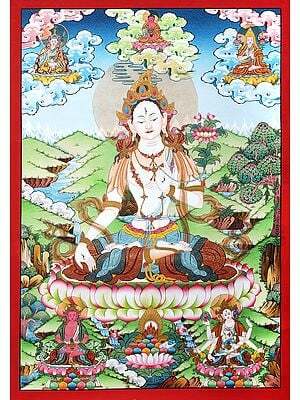 White Tara is often referred to as the Mother of all the Buddhas. 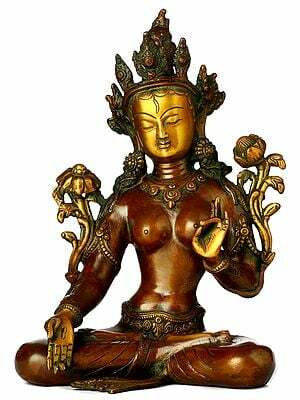 She represents the motherly aspect of compassion. Her white colour indicates purity, but also indicates that she is Absolute Truth, complete and undifferentiated. She has seven eyes: the two usual eyes, plus an eye in the centre of her forehead and eyes in each of her hands and feet. 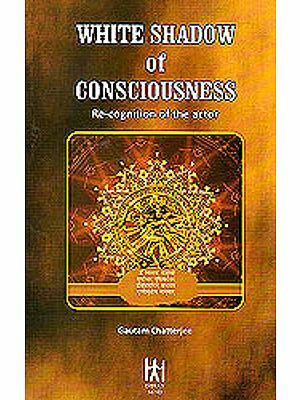 These indicate that she sees all suffering and all cries for help in the human world using both ordinary and psychic or extraordinary means of perception. 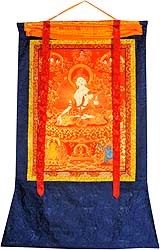 They thus symbolize the vigilance of her compassion. White Tara has a lovely, young face. 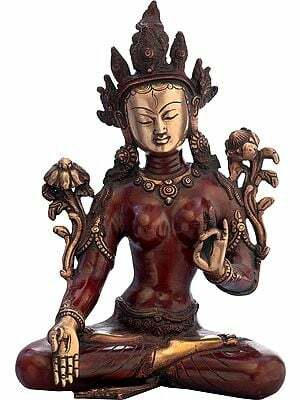 With her right hand she makes the boon granting gesture and her left hand, holding the stem of a lotus flower between her thumb and fourth finger, makes the gesture which grants protection to her devotees.. 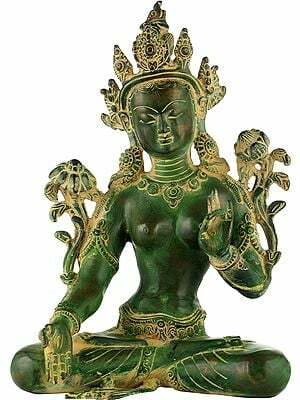 The elaborate lotus flower, held in the left hand is called Utpala. 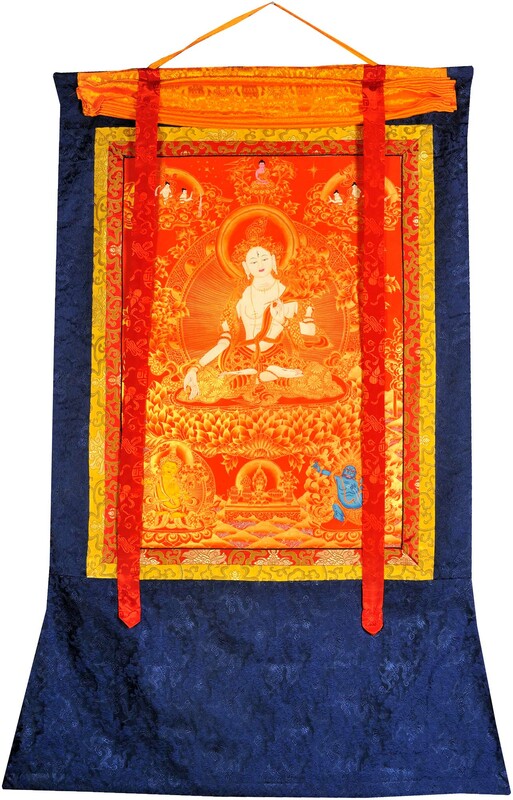 It contains three blooms: the first, with seeds, symbolizes the past Buddha Kashyapa; the second in full flower, symbolizes the present Buddha Shakyamuni; and the third, ready to bloom, symbolizes the Future Buddha Maitreya. 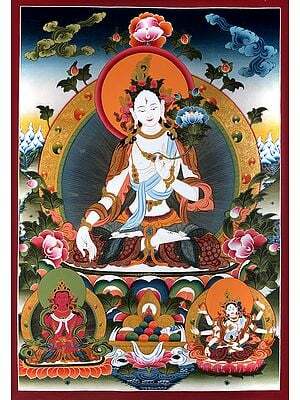 This signifies that White Tara is the essence of all the three Buddhas of the past, the present and the future.